When discussing retirement issues, the focus in the media is often on two demographic extremes: Baby Boomers and Millennials. That is not too surprising since these are the largest cohorts of the U.S. population. Further, Gen-Y adults need to be informed about the importance of preparing for retirement early on in their working careers, and this message is usually conveyed by pointing to statistics regarding the alarming number of senior Americans who were not prudent with their planning and saving and as a result had to postpone retirement and/or settle for a less than ideal standard of living in old age. However, it is important not to forget the middle cohort of the working population, Generation-X. Indeed, these Americans as a whole control a considerable amount of wealth through real estate and investments in other financial assets. Gen-Xers are also typically at or near their top-earning years, but too many are not taking the necessary steps to ensure a comfortable and financially secure retirement. At least that is what a recent study by the Insured Retirement Institute (IRI) suggests after finding that four in ten surveyed Gen-Xers reported that they still have no long-term savings whatsoever. 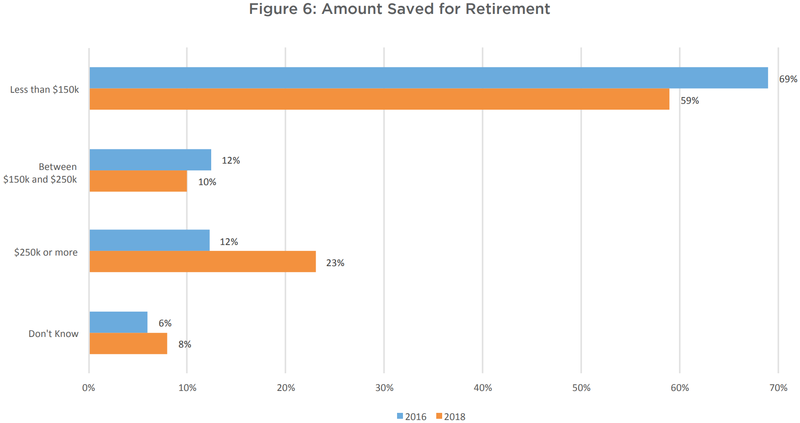 Even among the respondents that have set something aside for retirement, more than half (59 percent) said that they have less than $150,000 in total savings. Encouragingly, though, the percentage of surveyed Gen-Xers saying that they have $250,000 or more in retirement assets has nearly doubled since the 2016 survey, likely a reflection of increasing 401(k) contributions and the strong returns seen in the stock market over the past few years. More importantly, there again appears to be a benefit from working with a financial advisor because among all the surveyed Gen-Xers with retirement savings, 50 percent of those that received professional guidance reported having at least $150,000 set aside, while only 27 percent of respondents that did not consult with an advisor were able to report the same amount of retirement savings. Conversely, surveyed Gen-Xers that did not seek professional guidance were much more likely to have less than $150,000 set aside for retirement than respondents that did work with an advisor. 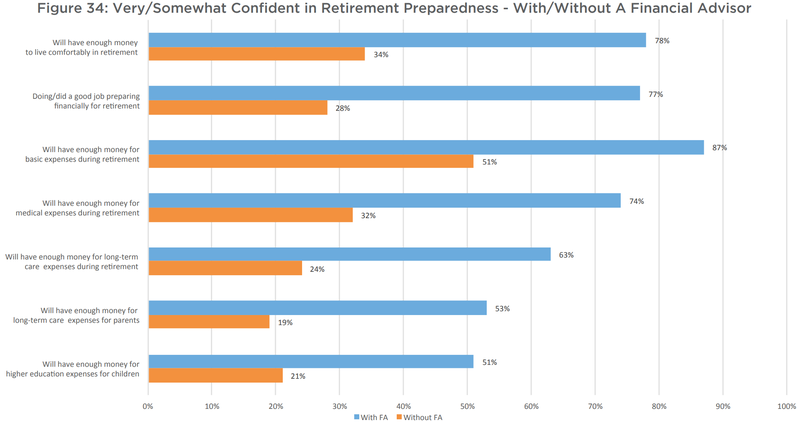 Unsurprisingly, only around a third of surveyed Gen-Xers who said that they did not work with a financial professional were able to report that they are “very or somewhat confident” they will have enough money to live comfortably in retirement, compared to 78 percent for respondents that did consult with an advisor.